9Round Fitness promises an “ultimate” and proven workout program based on kickboxing that delivers results. It is a body transformation program that caters to people who are of different fitness levels. Their workout system works following a training regimen that was developed by a World Kickboxing champion, Shannon Hudson. In the facility, there are 9 stations meant to target different areas of the body. 9Round Fitness was founded by kickboxer Shannon Hudson and his wife, Heather Shannon, in 2008. Currently, they have more than 450 fitness clubs in 40 states across the U.S. The 9-step, 30-minute workout program is a copyrighted system developed by Hudson himself to bring kickboxing themed training to ordinary people. They have fitness clubs in Canada, Japan, Australia, and in the United Kingdom. Benefits of Joining 9 Round Fitness / Why Members Like 9 Round Fitness? 9Round Fitness’ specialized workout program allows members to come in at any time convenient to them. There are no schedules for the classes. Qualified trainers would, instead, help individuals as they walk in and show how exercises should be done in each of the 9 stations depending on their fitness level. These workouts, which change regularly, are meant to activate your fat burning zones and target the whole body in just 30 minutes. As a member, you get access to one-on-one support and their 9Round Nutritional Guidance. A 9Round trainer’s main duty is to “train, sell, and clean.” A kickboxing background or experience is not required. Accepted applicants all undergo full training. However, people with sales and customer service work experiences are preferred. In training, trainers must be able to keep up as well as demonstrate the workouts. In selling, they must convert first-timers into members, and in cleaning, they are responsible for maintaining the gym following a scheduled cleaning program. 9Round Fitness’ Heart Rate Technology and workout program are both meant to provide clients with a body transformation. Multiple testimonies and evidence from current members show just how the workout program ensures weight loss in people. It targets every part of the body for only 30 minutes a day and keeps your fat burning zone stay active. With the meal planning they provide members, they are able to provide a whole package which is one of the main reasons why many people choose in 9Round Fitness. Trainers and staff in 9Round Fitness welcomes members and first-timers alike to become part of a community that feels like a family. The operating hours of the fitness clubs are also limited. They are open from 6am to 9pm on weekdays, except on Friday when they close at 8pm. On Saturdays, they are open from 8am to 4pm while they close at 2pm on Sundays. Memberships allow you to come in at any time as there are no class schedules. You also get access to a member’s portal where you gain access to exercise videos, get an online meal planner, and track your training. Because of the type of workouts available, you will learn how to exercise with boxing gloves on and get fit by doing the routine exactly as you should according to your body and fitness level. The constant change keeps things from becoming boring. With 9Round Fitness’ Heart Rate Technology, a body transformation is ensured as the program ensures you stay in your fat burning zone. A free workout is available for first-timers. It allows you to experience and get a trial run of the 9-step kickboxing-themed workout. The sign up process for the free workout is on their website https://www.9round.com/. If there is a club near you, you will only need to give them basic details about yourself. There are different gym equipment available in every station. You’ll find the basics, such as: dumb bells, kettle bells, medicine balls, and jump ropes are among the equipment for strength-building. Through stations 3 to 8, however, the exercises are heavily influenced by kickboxing fitness movements. Heavy bags are available for power-building, double end bags are for coordination and timing, while speed bags condition the shoulders and increase speed. The last station is for the abs and core strengthening. So there isn’t much when it comes to equipment, but there are weights for when you need them. 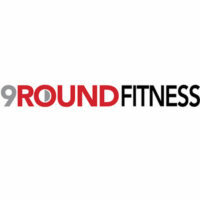 For more information on 9 Round Fitness membership and cost, visit official site .